Lately, I’ve been having impure thoughts about giving up my desktop PC. Windows has been steadily exhausting my patience, with unexpected slowdowns, inexplicable bugs, heavy-handed attempts to push Microsoft services, and countless other minor nuisances. I’ve also tired of the upkeep that my home-built desktop requires, having gone through a couple of cooling fans, two hard drives, and two graphics cards over a six-year span. Now looking ahead to the inevitable CPU/motherboard replacement, I’ve entertained the idea of throwing it all away in favor of a Chromebook or even just my iPad Pro, which I often use for work now anyway. But doing so would mean giving up PC gaming, and all the power and flexibility that goes with it. For years, that’s been my main anchor to the Windows ecosystem; I couldn’t imagine leisure time without it. That changed when I tried the Xbox One X. No, Microsoft’s super-charged game console doesn’t do everything that a PC can. But it does considerably shrink the console-PC performance gap, right at a time when the Xbox platform is becoming more PC-like. If not for a couple lingering problems, that might have been good enough for me to leave the desktop PC behind. Bear in mind that I’ve never been obsessive about my PC’s gaming performance. I don’t overclock my processors, mess around with liquid cooling, or fret too much when a game won’t run on Ultra settings. And while I’ve occasionally fantasized about curved, ultrawide, ultra-expensive 4K monitors, mine are a lowly 1080p. The only PC performance perk that really matters to me is the ability to play games at a steady 60 frames per second, and typically I’ll sacrifice every other setting—short of sub-720p resolution—to make this happen. I won’t even buy a game on consoles when superior framerates are guaranteed on the PC, because once you’ve grown accustomed to silky-smooth gaming, anything less is hard to tolerate. So for all the hype around 4K gaming, what intrigued me most about the Xbox One X was the prospect of playing more games at 60 frames per second. Games that are “enhanced” for the Xbox One X may offer a toggle in their settings, letting you sacrifice 4K visuals for smoother framerates at lower resolutions. At least that’s how it works in theory. In practice each game handles the Xbox One X’s capabilities differently. Middle-earth: Shadow of War, for instance, is locked at 30 frames per second, and uses the performance gains of 1080p to boost draw distance, ambient occlusion, and other visual effects. 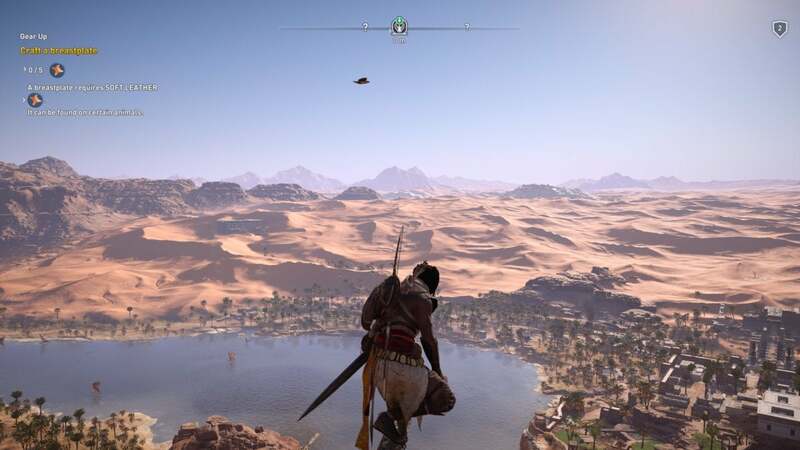 Assassin’s Creed: Origins and Destiny 2 avoid the sub-4K option entirely. And while some Xbox 360 games such as Fallout 3 and Gears of War 3 are “enhanced” for the Xbox One X, they offer only minor visual improvements at the same old framerate. Assassin’s Creed: Origins, one of several Xbox One X games that won’t give you higher framerates. This only underscores the remaining advantage of the PC: In almost every game, graphical trade-offs are the player’s decision. While I don’t need an endless array of visual toggles and sliders, I do want to prioritize framerate above all else; the Xbox One X, for whatever reason, still won’t let me do that. Even if the Xbox One X’s framerates were more consistently better, I’m sure some PC diehards would scoff at it. After all, game consoles are still walled gardens, lacking the freedom and flexibility that the PC’s open platform provides. The Xbox One’s backward compatibility now stretches all the way back to the original Xbox, rivalling the PC’s ability to play old games. 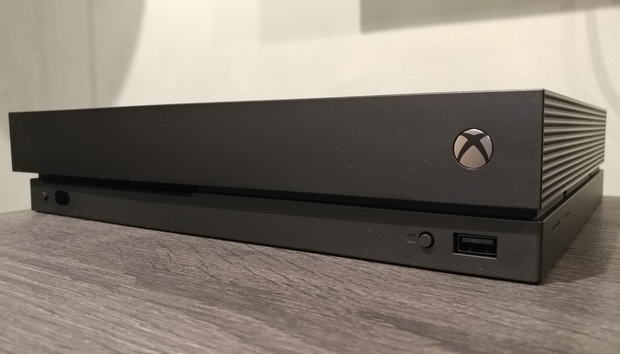 This is likely to be a fixture of the Xbox platform moving forward, now that it uses the same x86 architecture that PCs do. Downloadable games stopped being an afterthought in this generation of consoles. There are no disc-based games that can’t be downloaded, and many more downloadable games that don’t exist on disc. You can even store downloaded games on any external USB drive. The barriers to entry for indie games are much lower than they used to be. Developers can use retail Xbox One consoles as development kits, and can even self-publish their games. Free-to-play MMOs and early access games are no longer PC-exclusive concepts. The Xbox One X has more than 40 free-to-play games, including the excellent Warframe and the ever-popular World of Tanks. The phenomenon that is PlayerUnknown’s Battlegrounds just arrived on the console as well. Microsoft is even preparing to support mouse-and-keyboard for some games. 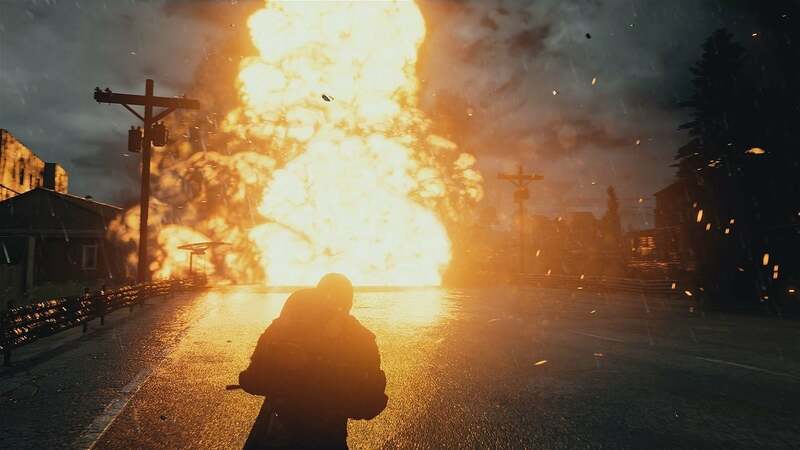 Early-access PC hit PlayerUnknown’s BattleGrounds arrived on Xbox One this month. Although the Xbox One will never be quite as open as the PC—you won’t be able to download weird fan remake games or spend an evening binging on Itch.io indies, for instance—the platform is steadily aping more of the PC’s biggest benefits. The biggest remaining problem is price parity for the games themselves. While testing the Xbox One X, for instance, I downloaded a free trial of The Surge, and was quickly taken in by its sci-fi spin on the Dark Souls-style action RPG (running at 60 frames per second, no less). But on Xbox One, the game costs $50 to download, which is $10 more than the exact same game on Steam. Titanfall 2, meanwhile, is $30 on Xbox One, but $20 on PC through EA Origin. And these are regular prices, not deals, which also seem to be more prevalent on PC. As I write this, Grand Theft Auto V is $24 on Steam, but $60 on Xbox One. Sure, consoles can offer better deals if you opt for used game discs instead of downloads, but the instant gratification of buying and switching between downloaded games is part of the PC’s allure. And perhaps those discs are part of the problem, necessitating higher download prices to offset losses from the second-hand market. The sooner consoles start competing with PC prices, rather than fretting about brick-and-mortar game sales, the better. Maybe things will be different come the next hardware cycle. Microsoft and other console makers might finally work up the courage to go all-digital, and graphics tech could improve to the point that 60 frames per second is the norm. At that point, my dream of breaking free from the PC might make a bit more sense. In the meantime, wish me luck on that motherboard/CPU upgrade.